If you want a lightweight, high velocity, accurate round, then the 223 Rem is just the round you are looking for. Developed back in 1964, the 223 Rem quickly became one of the most loved rounds in the Western World. 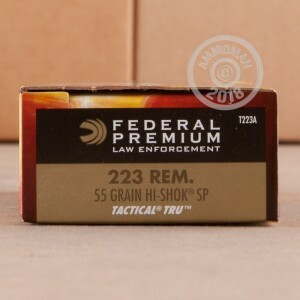 When you want something that you can hunt with, match shoot, and plink around with, the 223 Rem has the capability and versatility that you need. 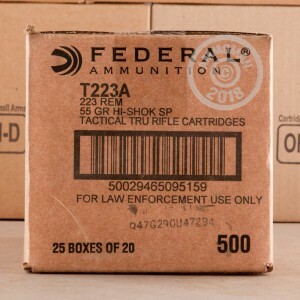 Federal has been in action since the roaring twenties, putting out some of the best ammunition this nation has to offer. Whether you are looking for premium, purpose built cartridges or something that won't hurt your wallet too bad, Federal is the way to go. These Law Enforcement Tactical rounds are designed to be extremely reliable and consistent for tactical applications. Each round features a 55 grain soft point projectile that delivers controlled expansion and deep penetration. 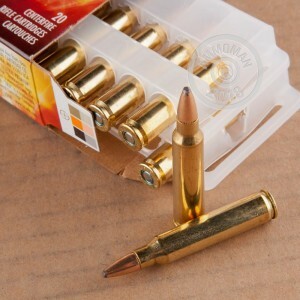 These bullets are loaded into boxer primed brass cases that are reloadable.